TORONTO, March 27, 2019 /CNW/ - Cadillac Fairview (CF) and TD Greystone Asset Management (TD Greystone) are pleased to announce major plans to revitalize one of Toronto's premiere shopping centres, CF Fairview Mall. An estimated $80-million will be dedicated to transforming 230,000 square feet (sf) of existing department store and other retail space to introduce exciting brands to the property; create a new row of restaurants; and improve pedestrian access to the property and the nearby Don Mills subway station. Construction is expected to begin this month with completion of the revitalization project slated for 2023. Today's major investment follows last year's $10-million investment to create additional seating and restaurants in the food court. "This area is undergoing many changes which reflect peoples' desire to work, live, shop and dine in a dynamic, transit-connected mixed-use community," said Wayne Barwise, Executive Vice President of Development, Cadillac Fairview. "Our redevelopment plan is about diversifying CF Fairview Mall and the surrounding land so we can continue to offer a vibrant destination for people to come together and enjoy." 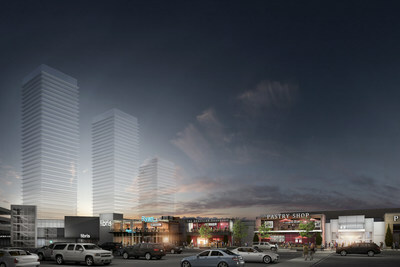 CF Fairview Mall is today one of Toronto's busiest shopping centers, drawing an estimated 13 million visitors per year. Conveniently serviced by a subway station and TTC commuter parking facility, and located close to several major highways, the mall provides thousands of high quality jobs. Annually, CF Fairview Mall contributes approximately $14-million to the City of Toronto through property taxes which in turn provides programs and services to local residents. "We are excited to be involved in the redevelopment of CF Fairview Mall, one of Canada's premiere mall and shopping destinations in Toronto. 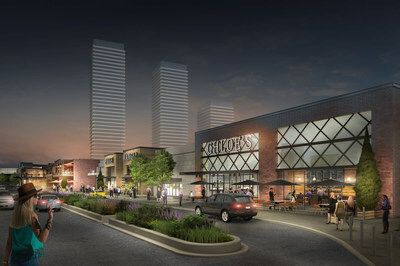 The mall's strategic proximity to transit and nearby residential neighbourhoods is ideal for creating a unique experiential and service-oriented retail environment," said Jeff Tripp, Managing Director, Real Estate Investments, TD Greystone. Valued at more than $28 billion, the Canadian portfolio includes over 38 million square feet of leasable space at 67 properties in Canada, including landmark developments such as Toronto-Dominion Centre, CF Toronto Eaton Centre, CF Pacific Centre, CF Chinook Centre, Tour Deloitte and CF Carrefour Laval. TD Greystone is an institutional money manager based in Regina with additional offices in Toronto, Winnipeg and Hong Kong. Since 1988, TD Greystone has been offering a full range of multi-asset class solutions with in-house teams covering fixed income, Canadian equities, U.S. equities, international equities, real estate, mortgages and infrastructure. In November 2018, The Toronto-Dominion Bank ("TD") completed the acquisition of Greystone Capital Management Inc. ("GCMI"), parent company of TD Greystone. This transaction provides the asset management businesses of TD one of the broadest offerings of investment solutions in Canada, and will provide clients access to alternative investments and the ability to further integrate private and public asset classes into their portfolios. To learn more about TD Greystone, please visit www.greystone.ca.